Priscilla Hung made it to this point in her career by having absolutely no idea what she wanted to do. 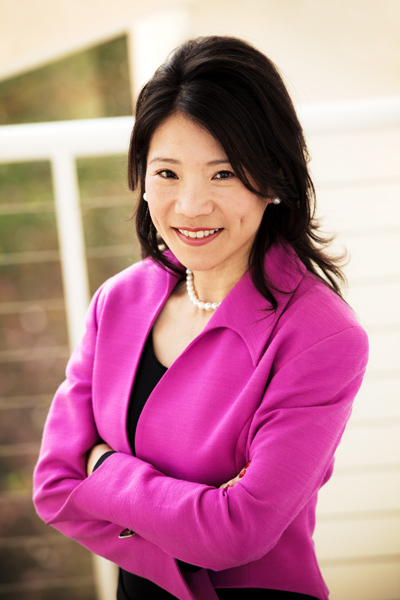 Although it’s not a blueprint she would advise following, Hung’s diverse and extensive résumé prior to assuming the chief operations officer function at Guidewire Software, which provides software to property and casualty insurers, has provided her with an invaluable skill: the willingness to do whatever it takes to learn something new. Her evolution from a college engineering graduate with no interest in the field to her current role is a playbook in self-reliance, which has, in turn, helped nurture her passion for mentorship. Hung says there has always been a steep learning curve for almost any job she’s had because, especially early in her career, she was continually seeking out new experiences that she thought might suit her. From channel management to product marketing and from importing extra virgin olive oil from Italy to exporting diesel engine cleansers to China, each new job interview seemed to present the same potential hang up: “You would look at my résumé and say I wasn’t qualified,” Hung says, with a laugh. That admission, though, provided Hung with an incentive to learn and grow with whatever role she took on. While serving as director of operations at cloud-based network solution provider Ariba, Hung met four of the six future founders of Guidewire: Ken Branson, James Kwak, John Raguin, and Marcus Ryu. Hung says the founders took a chance on her when they hired her in 2005, and that’s never far from her mind when it comes to working with her own team. “Regardless of how competent or educated I was, if I hadn’t met them, I wouldn’t have been able to go as far as I have today,” she says. Since joining the company, Hung has held numerous roles: vice president of alliances and corporate development; vice president of operations; senior vice president of operations and corporate development; and chief administrative officer. Now, as chief operations officer, Hung has placed great emphasis on connecting with her team, and she wants her role to be understood as more than a job dispatcher. She wants to be a mentor. “Nobody guided me or asked me what I wanted to do,” Hung says, recalling her early career. “Had one person sat me down and had that conversation, I probably wouldn’t have hopped around to so many different jobs.” Providing that guidance is now imperative for her as a leader. That guiding spirit has proven effective when paired with Hung’s willingness to take risks on future leaders. Hung speaks proudly of a vice president she hired recently who, though more inexperienced than some of the other potential hires, seemed to be unafraid to walk in shoes that seemed too big to fill. The transition has been successful, and Hung relishes the chance to embolden her team with a strong candidate, not unlike the opportunity Hung received from the Guidewire founders. Hung’s team has been focused on growth of a different sort as of late. They’ve worked virtually around the clock to accommodate Guidewire’s acquisition of Cyence, a data science and risk analytics software company purchased for about $275 million. “Every single person on my team is responsible for a little bit of it,” Hung says. “Acquisitions, in general, tend to bring the whole team together.” Hung says that maintaining a light-heartedness when faced with tireless work can be challenging, but it’s what makes her team feel more like a family. In addition to working to make cohesive acquisitions, Hung is tasked with creating and maintaining an extensive partner ecosystem. She says the primary goal in developing partnerships should always be to build trust. That means understanding how to build win-win relationships instead of trying to dominate every interaction. Hung highlights the importance of compromise as a key to lasting relationships. As Guidewire has grown from a start-up to one of Glassdoor’s best places to work, partnerships have remained key, but Hung says the role of those relationships has evolved considerably. Initially, business partners were essential in helping to amplify the message of a relatively small start-up. As the company grew, working to diversify that partner list made it possible for Guidewire to be able to more consistently deliver its message and offer better collaboration for the customers they’re servicing. The evolution of Guidewire’s business partner relationships can easily mirror Hung’s own success at the company. A loose and disparate collection initially working to make its voice heard has given way to a supportive and collaborative network with emphasis on communication and growth. Hung’s team will continue to cultivate new opportunities and new relationships with one of Hung’s favorite axioms in mind: “Just because you haven’t done it before doesn’t mean you can’t do it,” she says.